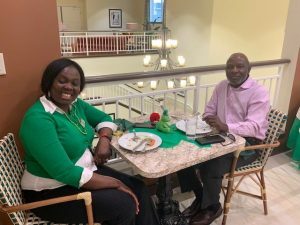 At The Landing of Silver Spring, we are always looking for a way to celebrate and live life with a whole lotta heart. 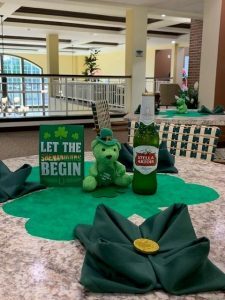 We recently celebrated St. Patrick’s Day with a party featuring an authentic Irish Meal with Irish beer, green beer, and wine! 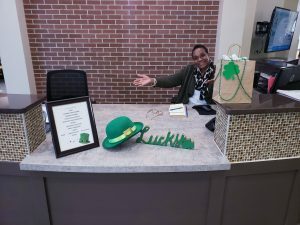 The Landing of Silver Spring is a vibrant and fun community offering assisted living and memory care services in Silver Spring, Maryland. We celebrate every day and enjoy spending time with each other while having fun! Our residents receive high-quality care in a state of the art community that feels like home and has a true sense of belonging for residents and families alike. 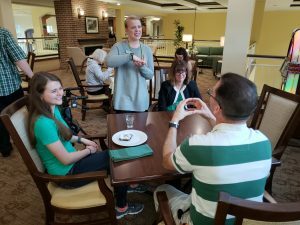 Our bistro area often serves as the heart of our community with residents gathering to unwind, relax, chat, and catch up with friends while grabbing a bit to eat. 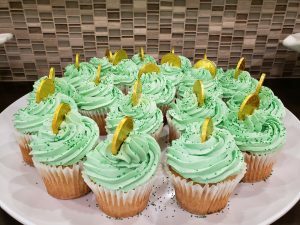 This St. Patrick’s Day we transformed the bistro into a party! 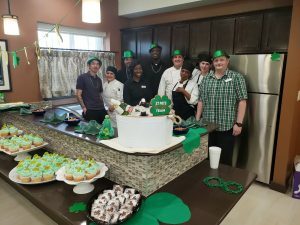 Our culinary team did an outstanding job providing themed food and drinks and festive decorations to celebrate St. Patrick’s Day. We even had an award for ‘best dressed’! We would love for you to join us at our next social function! Call or stop by The Landing of Silver Spring today to see how you can live with a whole lotta heart. Alissa has been working in marketing and the senior living industry for over 7 years. She graduated from the University of Illinois with a B.S. in advertising and has worked all over the world as a freelance communications strategist and writer. Currently living in Okinawa, Japan, Alissa loves to travel, read, cook, and spend time with her two children and golden retriever. Why Do Seniors Want to Stay in Their Homes?